Do you celebrate your pets’ birthdays? We always do; well, not with a party or anything but they usually get some special treats and maybe a walk someplace new or just a little longer walk. Even for the pets whose birthdays we weren’t certain of we picked a day around the time we thought they were born. When we adopted Zeke nearly 10 years ago, I’m glad I thought to ask the farmer when the puppies were born and glad he remembered. 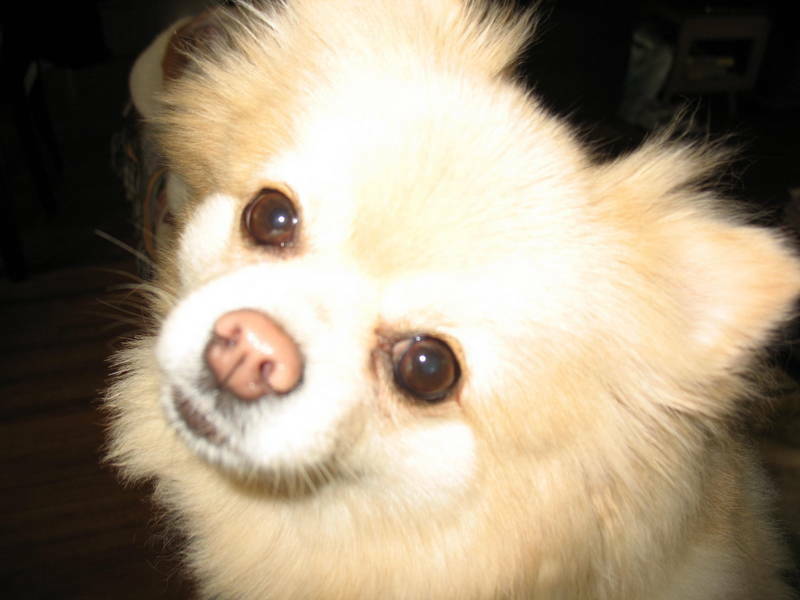 Zeke turned 10 on June 12, and Foofoo, the crazy Pomeranian, is 3 today. So while Zeke is entering his “golden years,” Foo is just becoming legal (if you count each year as equal to 7 in human years). In Zeke’s case, you’d never know it. While his hair is a little lighter on top, (distinguished gray!) he’s active as ever and can still pursue critters around the backyard like it’s a racetrack. I thought for sure he had a squirrel the other day when the crazy thing changed course in its flight and made for a tree instead of the fence. Another second or two and Zeke would have caught him. I’m glad he didn’t, as well as I hope he doesn’t try to catch the the raccoon that likes to visit the birdfeeders at night. I wouldn’t care to intervene in that encounter, so I’m keeping the motion-sensor light on in the backyard at night to avoid that scenario. 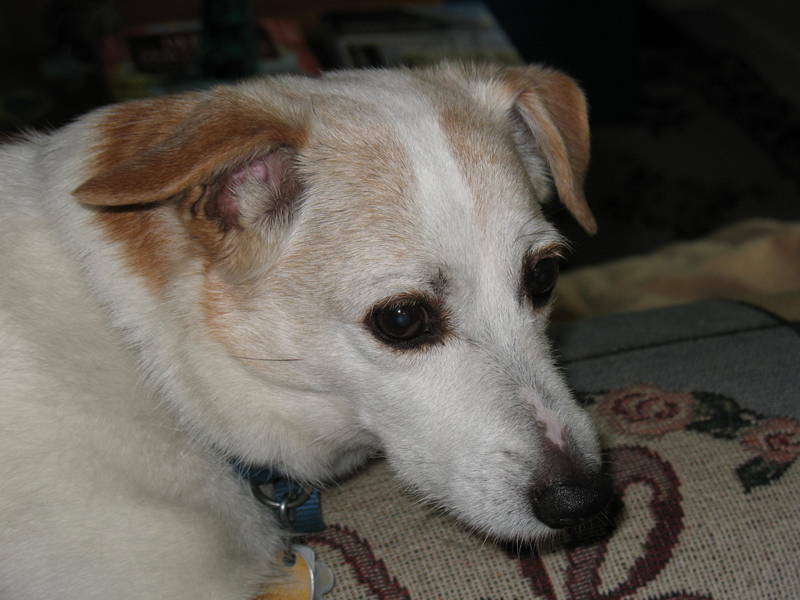 Like most other Jack Russells, Zeke thinks he’s a mighty hunter, but that’s what they were bred to do, so it’s pretty useless to try and change him. Foofoo, on the other hand, is a little clown. Or as my husband says, a little ditz. I guess with a name like that, what can you expect? She’s feisty and funny and likes to twirl and whirl and bark and bark and bark…… You get the picture. She thinks she should take on every big dog in the neighborhood, but she loves little kids and if she sees them playing with a ball or frisbee, she so wants to join in the fun. She loves to give kisses. Sometimes she is the typical bratty little sister and there are spats I have to break up (usually over a stolen rawhide chewie) but for the most part Zeke and Foo get along well. The two of them keep life interesting and won’t let us turn into couch potatoes; and since today is Foo’s birthday, I need to visit the local pet bakery and get some of those special doggie treats. Not sure about the long walk tonight, as it’s heading for the 90s again today, but there is always the backyard and squirrels to chase. They make everday special for Zeke and Foofoo.